Our mood and our emotional state are very sensitive to our environment and it is estimated that over 150 million people worldwide suffer from depression. While difficult life events can naturally fill us with sorrow, our daily routine and thought patterns can also dramatically affect our mood. Bad habits like negative thought cycles undermine our health and may lead to anxiety and depression. Research continues to find that eating proper foods rich in certain vitamins and minerals can help boost one’s mood and help fight off feelings of anxiety. 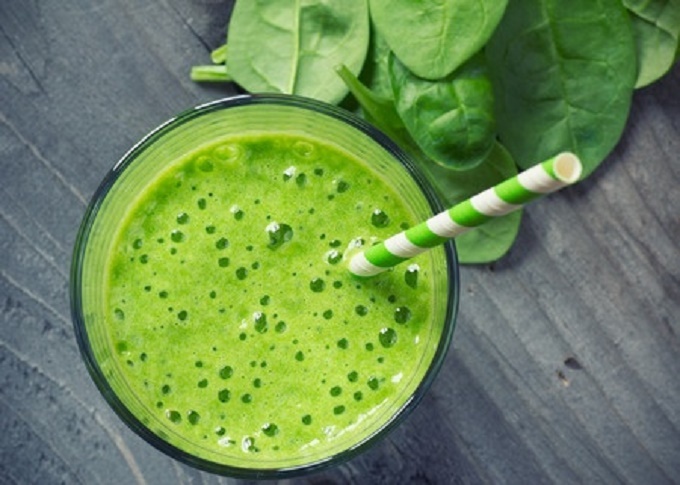 In this article, we explain some of these proven foods and give you 3 healthy smoothie recipes for anxiety and depression support. Almost everyone is struggling with anxiety at times. If the nervousness comes to a point where it prevents you from doing your everyday tasks, medical treatment is the most obvious solution. First though, or even simultaneously with the therapy, you should try a natural way. Some foods have proven health benefits, including a positive impact on the brain and our mental and emotional state. Some foods have a positive effect on the production of certain brain chemicals. Chia seeds, which contain high amounts of tryptophan, are one of these foods. Tryptophan plays an important role in the brain chemistry. It promotes the production of the neurotransmitter, serotonin, which is known to relieve depression and anxiety. Many people’s diet lacks Omega-3 fatty acids. According to one study, Omega-3 fatty acids can help to fight depression. Patients suffering from manic depression were given a placebo for four months alongside normal medicines, while the other group received omega-3 fatty acids. In the second group, the number of relapses was much lower. Walnuts contain a high amount of Omega-3 fatty acids, making them an excellent smoothie ingredient if you are battling depression or anxiety. High in folic acid and Vitamin B, banana is one of the most popular smoothie ingredients. Eating foods rich in those vitamins may help with depression or anxiety symptoms. The reason is that people who suffer from depression, often have a folic acid deficiency as well. Researchers have also pointed out that in depressed patients the intake of vitamin B is often abnormally low. It is possible that there is a link between the low level of vitamin B and the metabolism of brain compounds involved in mood regulation. Banana, which also helps with the density of the smoothie, contains both compounds. Avocados are rich in potassium and studies have shown that low levels of potassium can cause mental fatigue, anxiety and contribute to feelings of depression. They are also a source of trytophan which is a pre-cursor to serotonin. 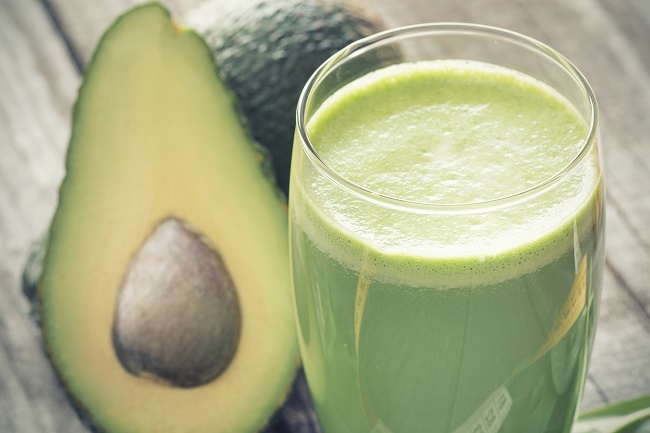 Avocados are an excellent source of B-complex vitamins like folic acid. Avocados actually contain more folic acid per weight than any other fruit. Studies have found that not getting enough folic acid can increases chances of developing depression. This ingredient is full of selenium, a natural compound that helps to protect the body from harmful free radicals. People, who follow a diet low in selenium, are more prone to depression. Selenium is essential for the brain to function properly. In addition to that, Brazil nuts have an incredibly unique flavor, complementing other, more common ingredients. In a smoothie, they go especially well with cacao, another smoothie element known for its positive health properties. If your diet is low in selenium, it is worth changing it up a little and using ingredients such a Brazil nuts. Simply add 1 or 2 brazil nuts to your smoothie. Spinach is rich in magnesium which is one of the best minerals for anxiety and ADHD. Spinach is also rich in tryptophan and folate. The tryptophan found in spinach helps increase our levels of serotonin which boost mood. As mentioend above, folate is an important nutrient that helps increase levels of serotonin in the brain. Twenty percent of our energy is used by our brains, so it is important that we constantly replenish it through food. This is best achieved with complex carbohydrates. Oats are excellent for that purpose, especially seeing as it is considered a very efficient “brain food”. Oats offer a shot of glucose that provides energy, alongside essential B vitamins and Vitamin E, both thought to be beneficial for the brain. In addition, oats contain selenium and manganese, the former of which protects brain cells, while the latter helps the body to process choline and thiamine, two important brain nutrients. Pumpkin seeds contain high amounts of zinc, which is beneficial for the brain. Some studies have found that low levels of zinc may contribute to the onset of depression. In addition, high copper levels were associated with an increased risk of the development of severe anxiety. Zinc helps normalize the copper levels, making it beneficial to eat foods with a high zinc content. The third reason is a condition called pyroluria. Although this is an inherited metabolic disorder, it is found in 40% of psychiatric patients, but only 10% of the entire population. Although zinc cannot prevent this condition, a high intake of sufficient amounts, along with vitamin B6, may offset the symptoms. 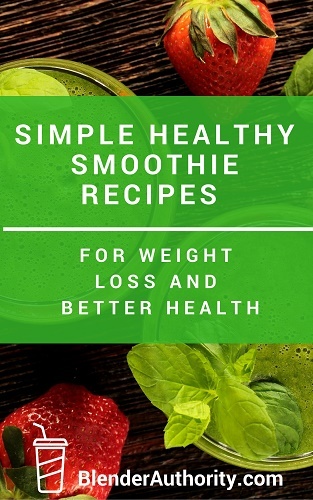 NOTE: These smoothie recipes are single single serving so they will work with either a single-serve blender or full size blender. Loaded with ingredients from the list above. 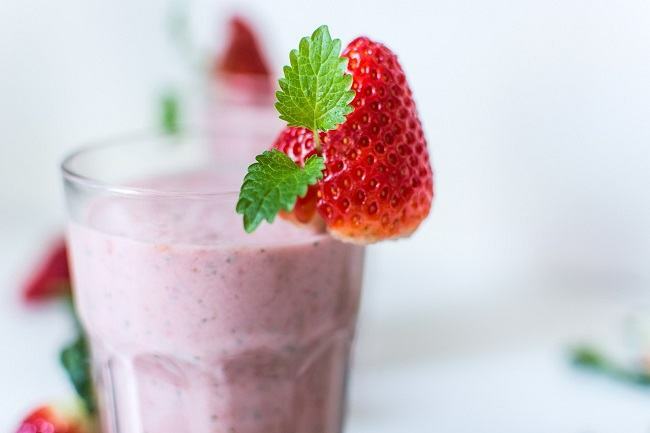 A refreshing yet creamy smoothie to start your day right and naturally boost your mood. Anxiety and depression can be a significant burden in our lives and one that should always be taken seriously, even in the early stages. Research continues to show that a proper diet with food that is rich in important nutrients can help you throughout the process and make the battle a little bit easier. Please share your favorite mood boosting smoothie recipe ! 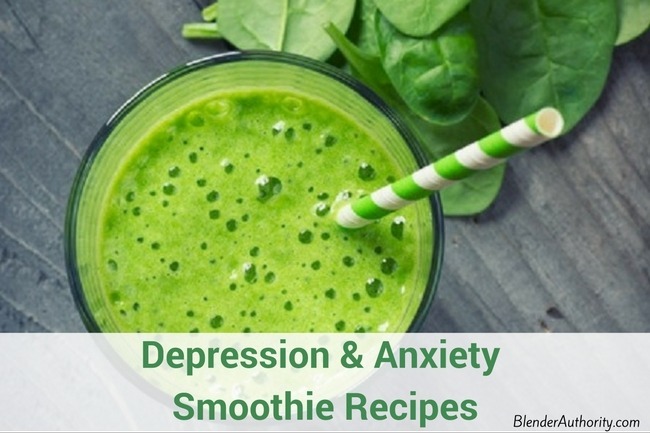 Learn the best ingredients and smoothie recipes for anxiety and depression. We explain which nutrients and foods to use that help boost mood and fight off the blues. OUTSTANDING content, My mum have issues regarding anxiety I will suggest her to visit your blog. Yes, I have already tried Coconut and Pumpkin Seed Smoothie and it really helps to avoid depression. I have just returned to university after 20 years to study a MBA. I have been taking antidepressant medication for several years. I like my studies very much, but I find the lethargy/fatigue I suffer is endangering my studies. I have a ‘dull’ mind constantly, and I’m finding it hard to concentrate or retain facts from my studies. I’m hoping that starting a smoothie diet as of today will help change this! I’m going to buy the ingredients for these recipes today!